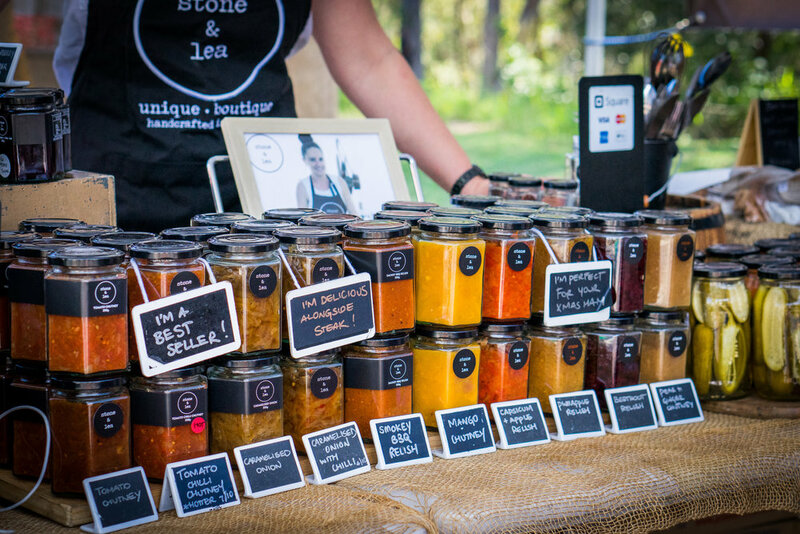 Located in Brisbane’s Northside, Stone & Lea is a proudly 100% Aussie owned small business specialising in artisan jars of handcrafted goodness. Stone & Lea was founded in 2015 by Rosanne Stone: a self taught cook with a love and passion for cooking, entertaining, and enjoying food at its finest. Using seasonal and fresh produce gathered mostly from the markets and local farmers, Rosanne has revamped the homemade jam, chutney and curd stereotype. Simply through recreating the classics and adding a modern twist on old favourites. All goods are prepared by hand, with no added preservatives. Stone & Lea keeps with the traditional cooking methods including cooking in small batches. Such methods ensure the art of preserving is not lost, but now alive more than ever. Rosanne’s vision was to bring the standard of conventional jars of product to a new level; starting at the packaging and presentation. As a result, Stone & Lea provides customers with a premium, unique and boutique product that pleases the eye and tantalises the taste buds. The original unique copper label is an eye catcher and adds a sense of luxe to each jar, whether its sitting in your fridge door, or nestled on a cheese platter.